We discussed already about recovering the deleted or lost post unknowingly or accidentally in WordPress in previous post, seen just few tweaks with pictures depicting how to fix it. And in this post let we see how to recover the deleted files in Mac by downloading and installing required software. The solution to this problem is Remo Recover (mac) collection of various data recovery components designed to recover all deleted files, which have been removed from the Recycle Bin, inadvertently deleted or lost due to virus attacks, unexpected shutting down of the system, software failure or even loss of data after reinstallation. And recovers the data from all the different data loss circumstances. lets you recover lost/missing Mac volumes. You need to buy Mac file recovery software to recover your deleted files from your Mac system. Connect the hard disk to a working Mac PC or laptop. Download and Install the Mac file recovery software to the system. Run Mac file recovery software. Follow the instructions to recover deleted files from Mac operating system. 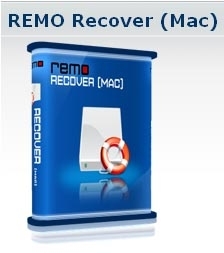 To Recover Deleted file use REMO Recover (Mac) software.